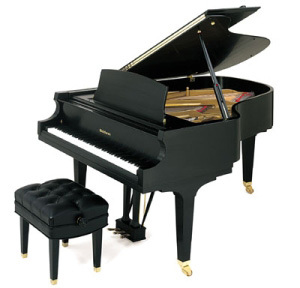 I ordered a cover for a Baldwin Grand piano and I am thrilled with my purchase. I told someone that i'd have thought you stood by the piano with a tape measure and sewing machine, it was such a perfect fit. The quality is excellent and the speed with which it was delivered was amazing. Even the price was very satisfactory. I will certainly be recommending your business to others. I received the cover - black quilted padded mackintosh with side slits as ordered in excellent condition for our church piano . 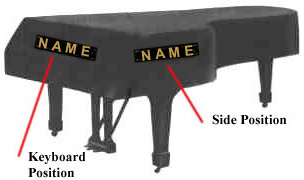 I ordered the vinyl grand piano cover for our church's Baldwin piano. It fits perfectly and looks lovely! It is fairly easy to fold and unfold. We wanted vinyl so the cover would be easy to wipe clean and to prevent water damage (in case someone carelessly placed a coffee cup or water-filled flower vase on it). We are very happy with the purchase.